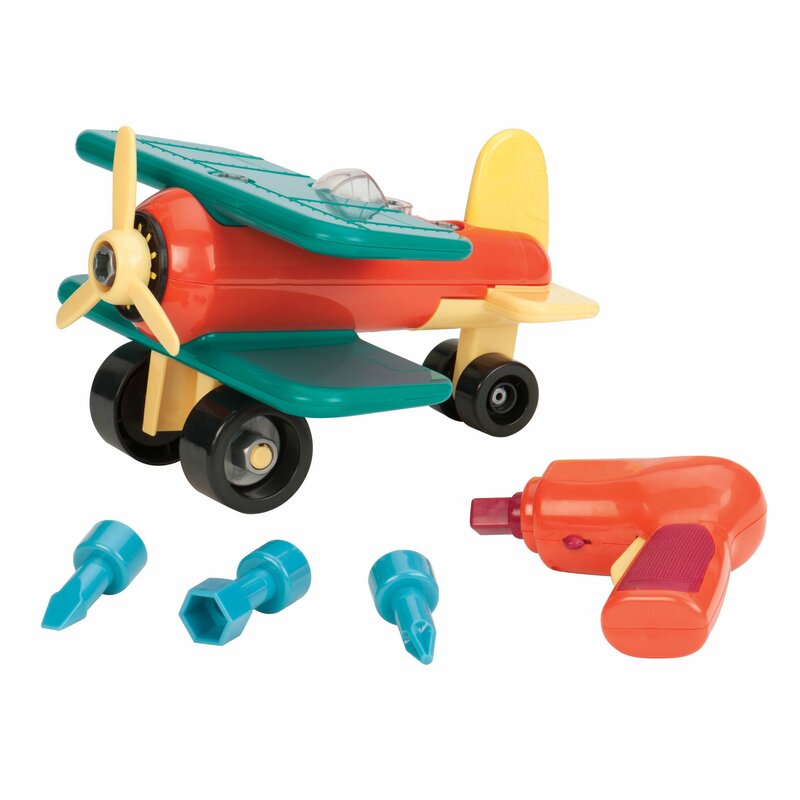 The Take-A-Part Airplane lets curious minds explore how pieces work together to make a larger whole, and helps train fine motor skills at the same time. This 9.75" x 9.75" x 6.25" set includes 21 vehicle parts and a power drill with 3 interchangeable different bits. Requires 2 AA batteries (not included).Parts and fasteners are oversized, made for small hands to manipulate. Battat is a family-owned toy manufacturer that is 114 years old and has been in North America for over 40 years,Every Battat toy has an educational value, whether it is didactic or nurturing, or collecting and creating worlds for children playing with them. Style: Airplane The Battat Take-A-Part Airplane teaches young minds how little parts gotogether to make big machines. The Take-A-Part Airplane lets curious mindsexplore how pieces work together to make a larger whole, and helps train finemotor skills at the same time. This set includes twenty-one (21) parts and apower screwdriver with three (3) interchangeable bits. Parts and fasteners areoversized, made for small hands to manipulate. Requires two AA batteries (notincluded). Recommended for ages 3 years and up.